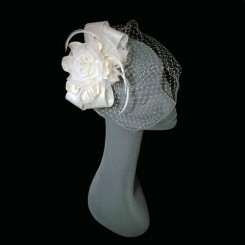 Wedding veils are, in our humble opinion, a wonderful bridal accessory which every bride should at least consider. After all when else will you ever be able to wear such a beautiful, feminine accessory again? 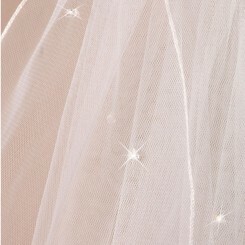 A good quality wedding veil can enhance your gown and transform your whole bridal look. 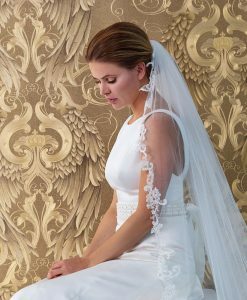 Our most popular styles are two layer bridal veils which allow the bride to wear the top layer over the face for the walk down the aisle. 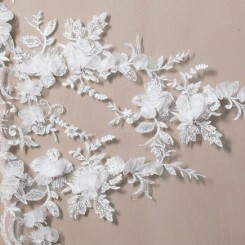 We love this tradition and think it brings a touch of magic and romance to the proceedings! 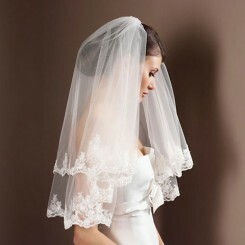 A longer length wedding veil will create an ethereal look which just oozes femininity. 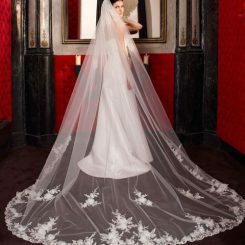 Long wedding veils can be a simple alternative to having a dress with a train as they offer the same romantic look but can be easily remove for an evening reception. 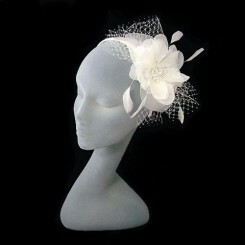 Increasing in popularity are vintage style birdcage wedding veils. 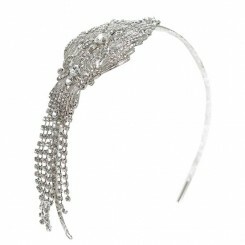 These make a wonderful alternative to a more traditional, longer length bridal veil and evoke the glamour of a bygone era. 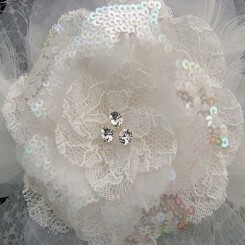 They work fabulously when teamed with an on-trend 1950s style or tea length wedding dress and add a touch of sassy, vintage glamour to your bridal look, especially when worn with a hair accessory of your choice. 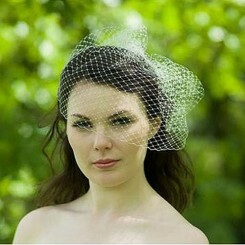 We offer veils from the collections of leading designers such as Poirier, Amanda Wyatt, Warren York and Lily Bella. 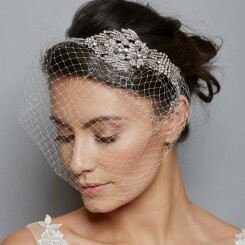 Whether you are seeking a long lace wedding veil, a traditional two layer crystal veil or a birdcage veil with a vintage vibe you will be spoilt for choice with our selection of wonderful wedding veils!